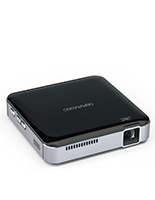 With a powerful portable mini projector you can take a presentation or video just about anywhere. This Wi-Fi enabled pocket LED device features 200 Lumens brightness, so you can so you can watch movies in a darkened room or one with some ambient light. 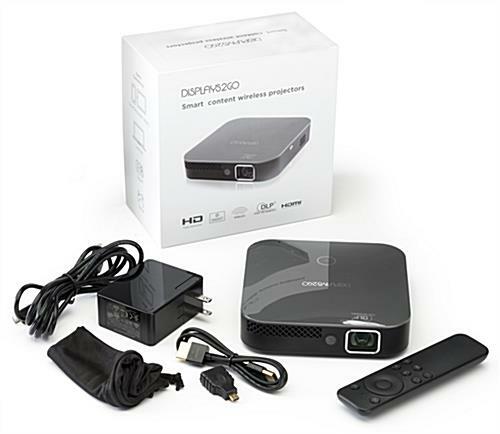 A built-in rechargeable battery provides up to 2 hours of wireless use, and an HDMI cable is included for wired connections. 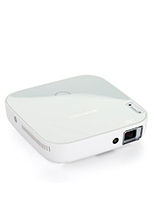 The compact portable mini projector features lighted mode and volume buttons, and two built-in 1.5-watt speakers, as well as an audio-out jack. Load apps like YouTube, Netflix, or Microsoft PowerPoint onto the device, and store files with the 5GB of internal memory. 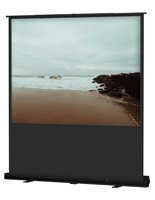 Project content from your mobile phone or tablet for wireless screen share capability, and use the remote control to choose content and settings. 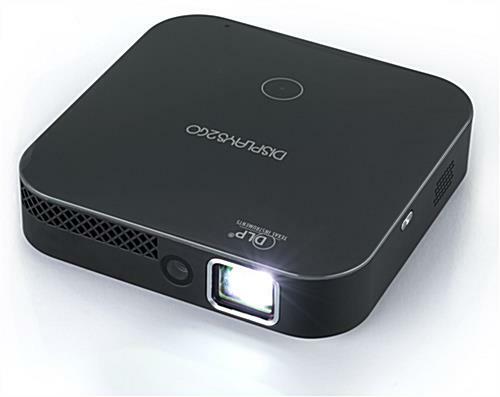 Auto focus and auto-keystoning correction make the compact HDMI mini projector easy to use and perfect for pop-up meetings or for watching videos at home. 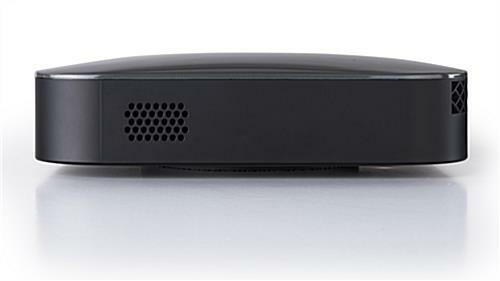 Connect other Bluetooth® enabled devices such as speakers for even more flexibility. 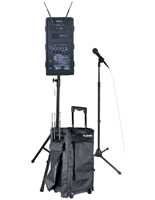 What is DLP® Technology and IntelliBright™? 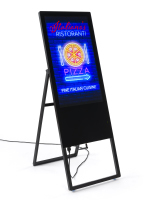 Texas Instruments DLP® chip uses digital micromirrors to brighten projected images and save energy. 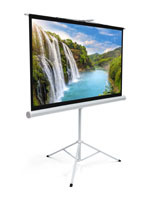 IntelliBright™ technology dynamically adjusts the projector brightness range for each individual pixel based on image content and the ambient room light level. 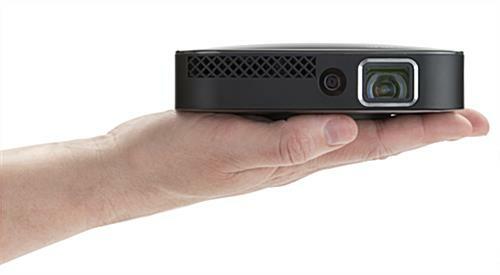 When the projector starts up IntelliBright will automatically optimize the projected image settings for the room environment. 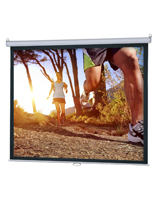 The result is a projected image with better contrast, clearer picture and increased energy efficiency. DLP® and the DLP logo are registered trademarks of Texas Instruments. 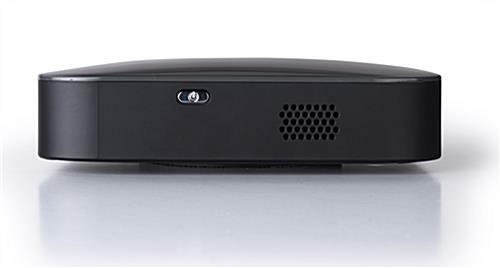 DLP IntelliBright™ is a trademark of Texas Instruments. 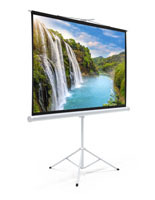 Keystone correction allows projectors that are not placed exactly perpendicular to the horizontal centerline of the screen to eliminate the skewed image that would result from the projector’s position. Lumens are a measure of the light output or brightness emitted from a particular source, such as a light bulb. More Lumens mean a brighter light. 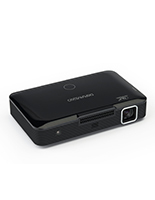 100 Lumens is bright enough to project an approximately 40-inch image (diagonally measured) in a dark room, or a smaller image in a room with some ambient light. 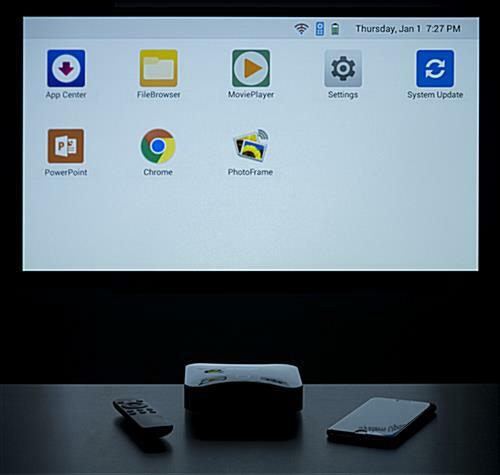 The projectors can be connected to a variety of compatible devices via a wired connection and to some smartphones and tablets via a wireless connection. 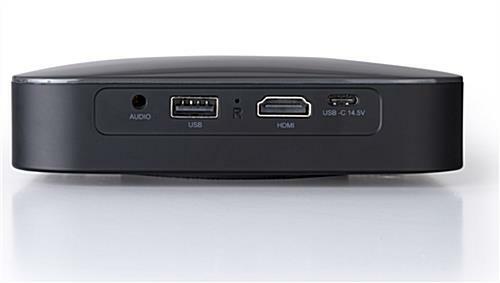 To create a corded connection between a computer and the projector, use the HDMI cable included in the box. Some Apple and Android devices may require an adapter to connect to your device. To determine what type of adapter you need to use, please reference the compatibility section of the projector’s instruction manual. 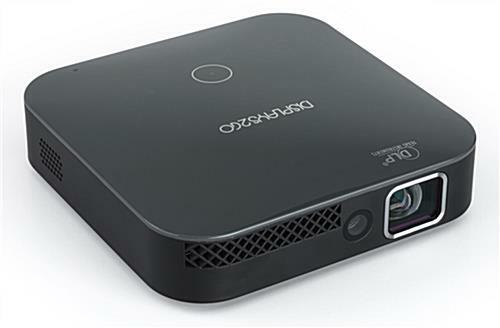 To create a wireless connection between the projector and a smartphone or other device, use the projector’s built-in Wi-Fi and Screen Mirroring. How Do I Add Apps for Streaming and File Viewing? 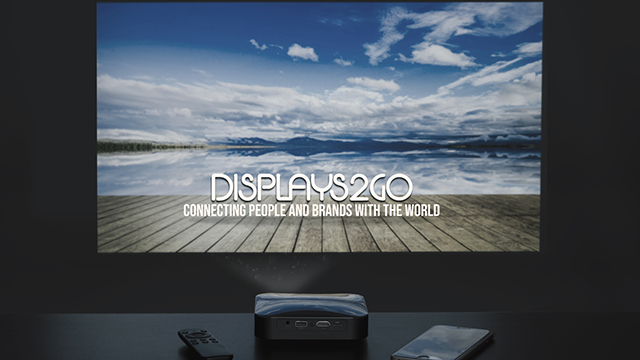 Screen mirroring allows you to project content from your mobile device to a projector wirelessly. 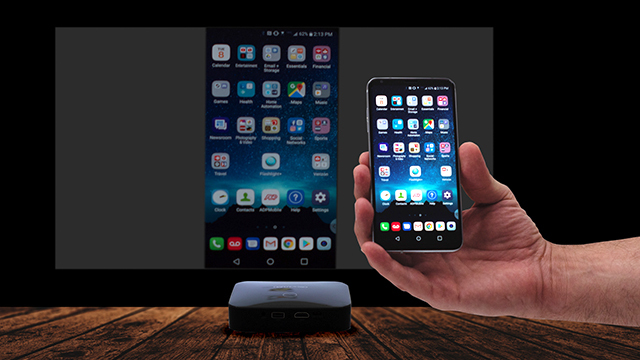 The connection method is different for Android and Apple devices, so check the projector instruction manual and those of your device for specific directions. Up to 100" Up to 100" Up to 100" Up to 100"
3.9" x 3.9" x 1" 4.125" x 4.125" x 1" 5.25" x 3.25" x 1" 5.25" x 5.25" x 1.26"
5.3" x 1.3" x 5.3"